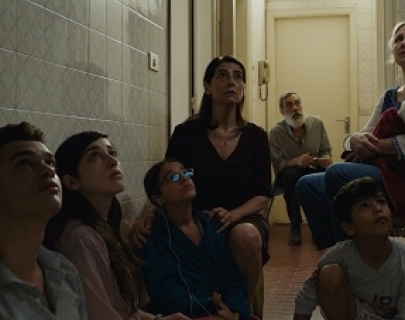 In the midst of a war-ridden Syrian city, Philippe Van Leeuw’s powerful film sets the audience amongst a middle-class family who are vying for survival after being barricaded in their home. As external events escalate, it is formidable matriarch Oum Yazan (Abbass) who is forced to make impossible decisions to protect her family. Shot within the confines of only a few rooms during the course of one day, the stunning results are claustrophobic, unnerving and alarmingly timely.